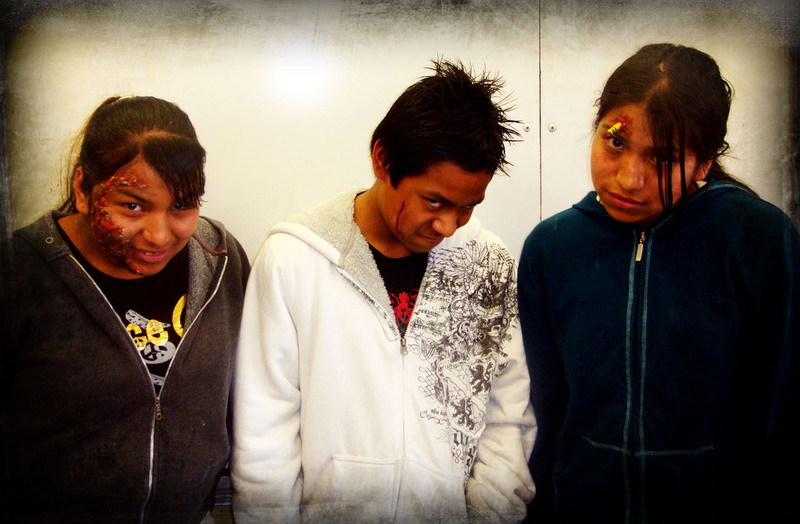 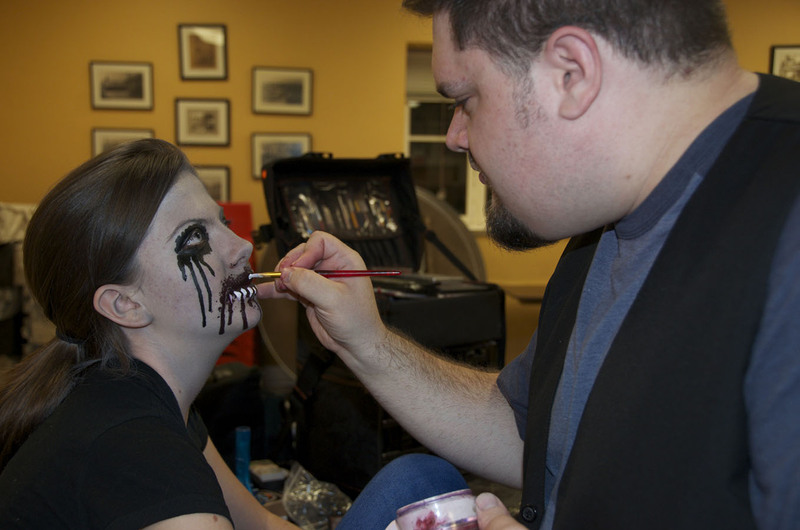 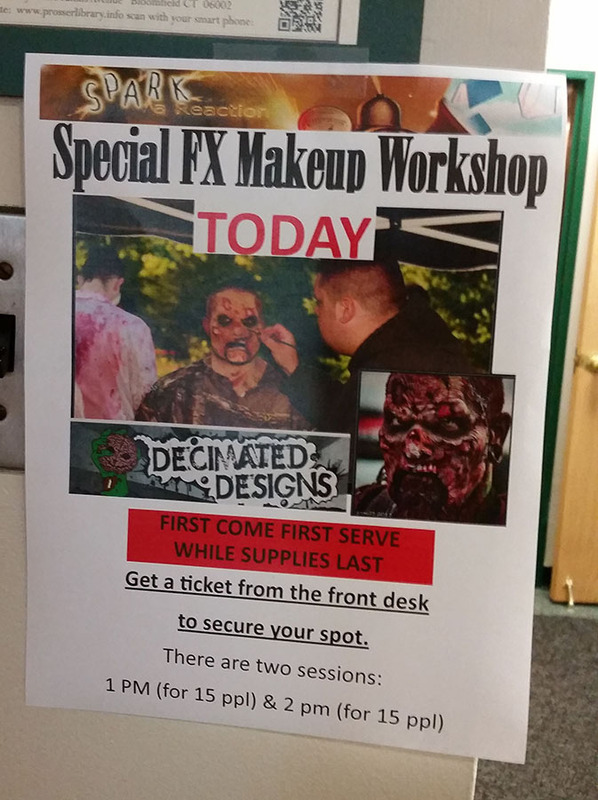 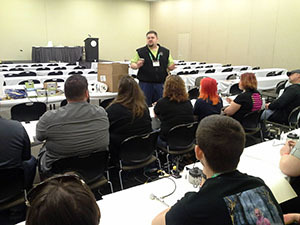 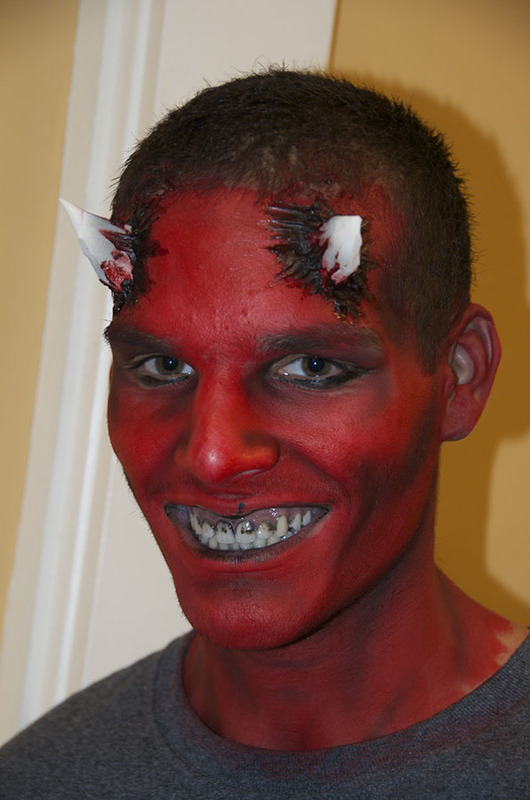 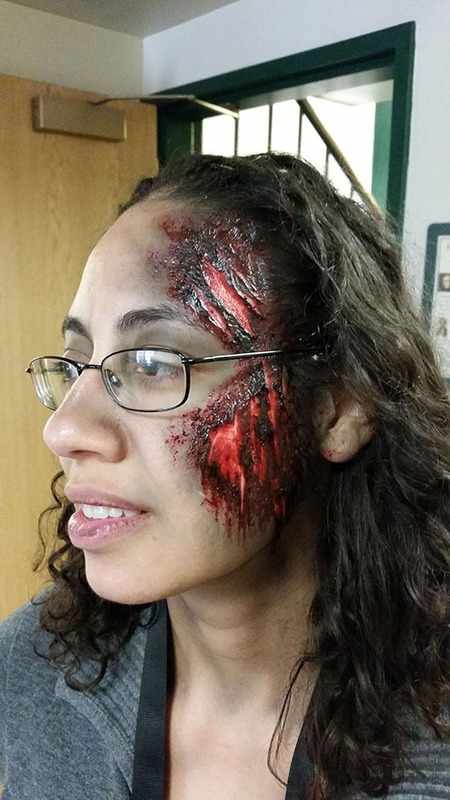 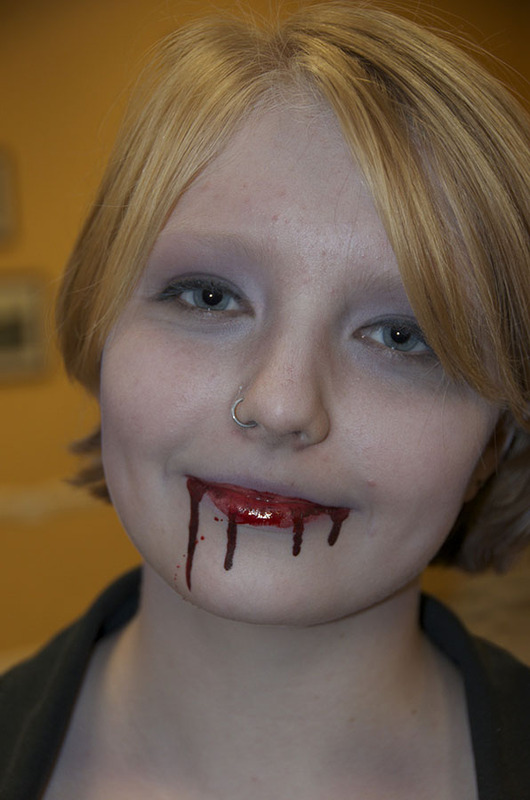 Decimated Designs has taught Makeup FX and Airbrushing classes all over the US. 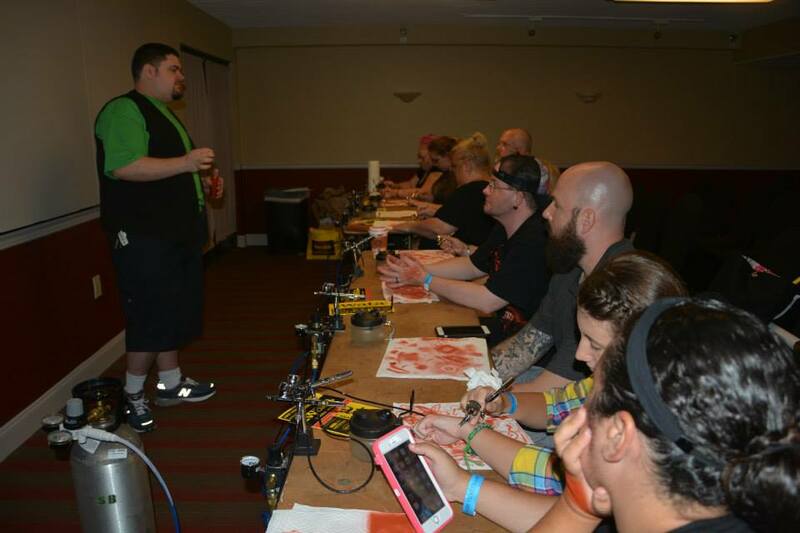 We are Iwata certified educational instructors and have a 20 student gravity-feed airbrush class kit that runs off of Co2 tanks so that we can teach even where there is no electricity. 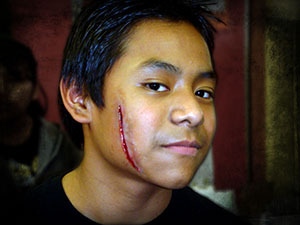 As of this year, we will also be adding in a "Lighting for Haunted Houses" class to the roster. 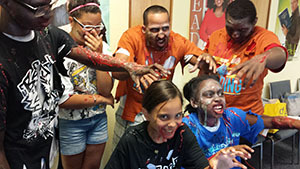 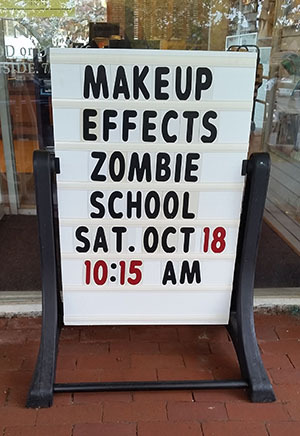 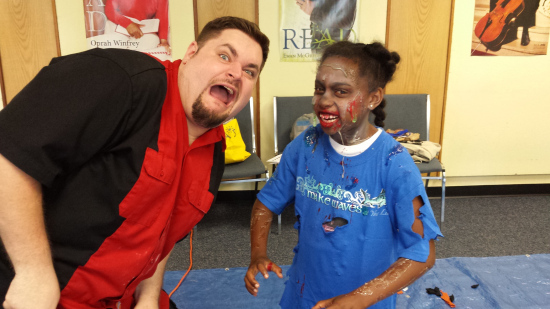 Our most popular classes are the "Intro to Airbrushing" class as well as the "How to Improve Your Halloween Makeup" class and demo that we developed for younger students at local public libraries. 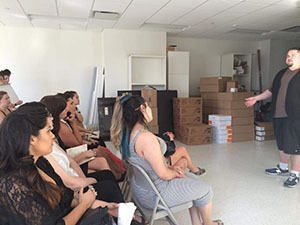 In addition to the training courses, we have also given career-day talks at local schools, and even spoke at MUD (Make-Up Designory) in NYC about what to expect when graduating. We have taught at Trade Shows, Conventions, Libraries, Public Events, Schools, and of course back at our shop in New Britain, CT. Private lessons are always available, and for the student looking to excel in their field are the best option for personal attention and hands-on learning. 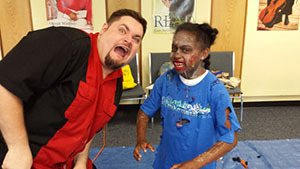 Please contact us if you are interested in booking a class, or to find out where we may be teaching next. We have a running email list to notify of upcoming classes, so please let us know if you would like to be added! 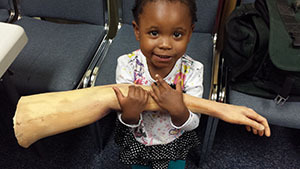 Even the younger students get involved!